Happy May! And welcome to what I think is the busiest month of the year! Our schedule is packed full of school, dance and sports, so planning out our meals helps to keep our dinners on track! Here is a peek at what we are eating this week. I need a simple start to my week and this Roasted Vegetable Tortellini is just what I need. You can make it with just about any vegetables you want. My favorites are zucchini, red peppers, broccoli, cauliflower, and mushrooms. Chop up about 4 cups of veggies and put on a foil lined baking sheet. Drizzle with a little EVOO, season with salt & pepper, toss to coat and roast at 425 for about 20-25 minutes, flipping halfway through. 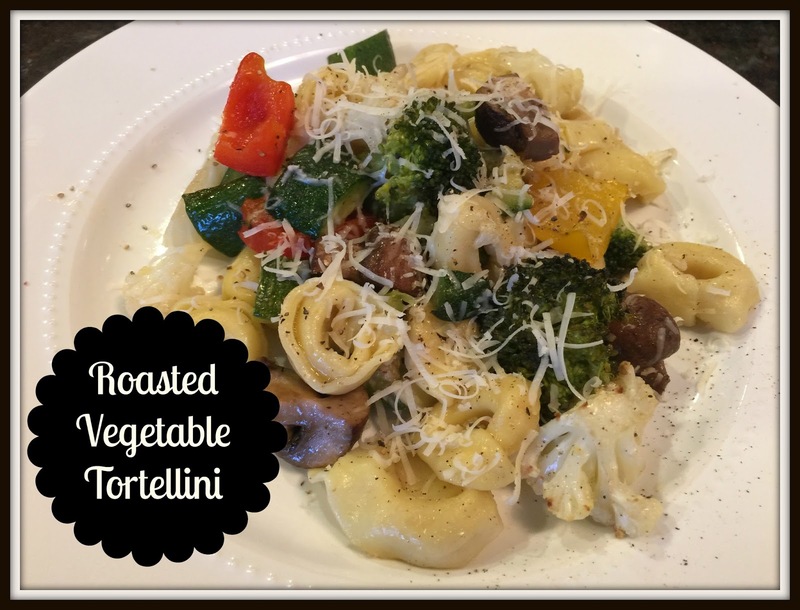 While the veggies roast, cook a package of tortellini according to package instructions. When the veggies are done, toss them with the tortellini and sprinkle with freshly grated parmesan cheese. Keeping it simple for Tuesday too with Grilled Chicken. I just season the chicken with some salt & pepper and serve with some roasted potatoes....and as always, something green! 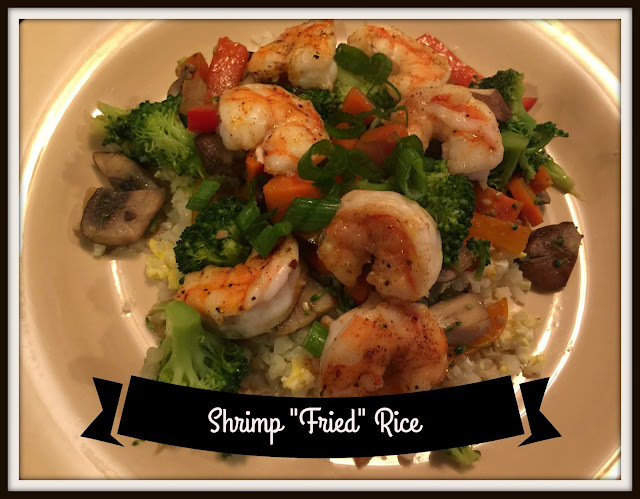 Shrimp Fried Rice is hands down one of the most requested meals in our house. Prep your veggies on your prep day and this meal comes together in no time! I love to try new flavors with burgers. These Sundried Tomato Turkey burgers are so full of flavor! Mix 1lb of ground turkey with 1/4 cup of chopped sundried tomatoes, 1 tsp salt and 1/2 tsp pepper. Form into 4 burgers and grill until cooked through. They are delicious topped with some crumbled feta and spinach! Happy Cinco de Mayo!!! Any excuse for Mexican night is good for me! We are going with Chicken Fajitas and serving with our favorite cilantro lime rice! This is a pretty simple one pan dish! Take a large sheet pan and cover with foil for easy clean up. One side lay 3-4 bell peppers and one large onion (both sliced) and toss with a little EVOO & sprinkle with salt and pepper. 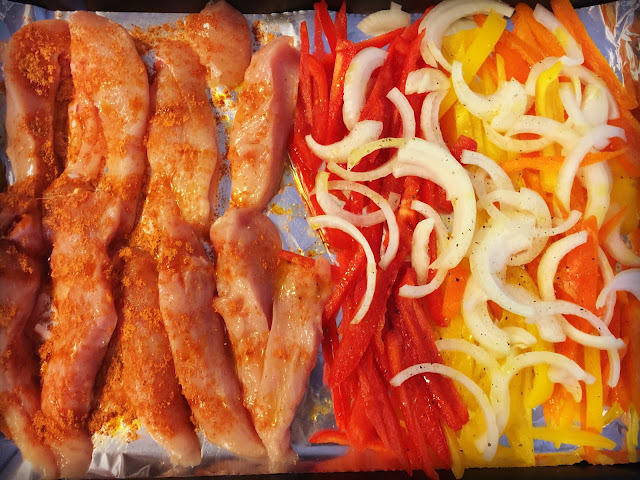 On the other side lay about a pound of chicken breasts (I cut mine lengthwise) and drizzle with a little EVOO and sprinkle with about 2 TBSP of taco seasoning. Bake at 425 for 20-25 minutes until chicken is cooked through. Slice the chicken into bite size pieces and layer the chicken and pepper mixture into tortillas. We top ours with a little shredded cheddar and a dollop of plain greek yogurt. Hope you had a fun weekend!!! See you tomorrow for our weekend wrap up.....there's always room for one more at our family table!